Based on our years of experience and our commitment to provide implementation assistance, we have developed a proprietary 4D framework to deliver significant results for our clients. The framework encapsulates our phased and modular approach with a clearly articulated methodology for each of the modules (including indicative deliverables). At Medium, every engagement begins with an attempt to thoroughly understand the client: current strengths, areas of expertise, short-term objectives, long-term vision, and expectations from Medium. We believe it is critical to offer an outsider’s perspective, as this helps ensure a greater sense of objectivity. An in-depth review of available secondary data helps us to then establish a broad context and tailor a unique plan of action to guide further research. We also invest heavily in conducting our own primary research, spending hours “pounding the pavement” to engage with multiple stakeholders throughout the healthcare delivery chain. Our distinct interview methodology constantly blends science with art, which often gives us the freedom to follow the data where it leads us. We tend not to dwell on superficialities and obvious symptoms, but in identifying the root cause. By balancing structure with an open-ended format, we draw out the underlying meaning from our interviews, sometimes even discovering instances of apparently contradictory statements coming together to form a coherent picture. The strategic directions we advise are hence always guided by a rigorous analysis of both quantitative and qualitative data. An overarching element of Medium’s design process is our commitment to sustainable differentiation. We fundamentally believe in the need for a genuinely superior product or service. This differentiation must begin at the root: in the very DNA of the product or service and carried faithfully through to execution. At Medium, we believe in the value of assisting our clients in the implementation of our recommendations. We therefore actively encourage our clients from the start to structure engagements to include implementation assistance. The blueprints, which concisely but comprehensively delineate the identified interventions, are actualized in this phase, coordinated by an all-encompassing implementation guide. Medium also assists with the capacity building, be it training existing staff or recruiting new team members required to follow through on full-fledged implementation. If external agencies play a role in execution, Medium aids clients in sourcing, selecting and supervising appropriate partners for branding, architectural design, advertising, digital marketing, interior design, public relations, IT services, and other outsourced activities. In our experience, the involvement of agency experts greatly adds to the effectiveness of the final product. Based on the impact assessments and feedback from the client and other stakeholders, we then create a fine-tuned iteration appropriate for continued use. 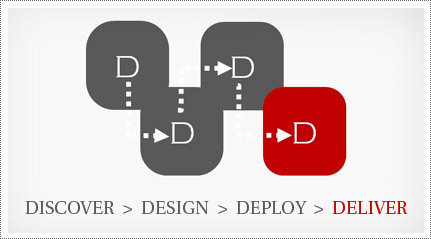 This debugging process is generally in incremental shifts, as unique aspects of the operations design or the consumer revealed in the impact assessment, are integrated into the core design. After this debugging process has been completed, we create templates for future implementation to guide ongoing operations. In addition to providing written documentation of all processes, we also assist in training necessary personnel from the client team in overseeing and troubleshooting the process from then on.